So Jay has gone into hiding once again. Sorry about that. To say I’m sorry, here is a free short story! Free until Saturday that is. 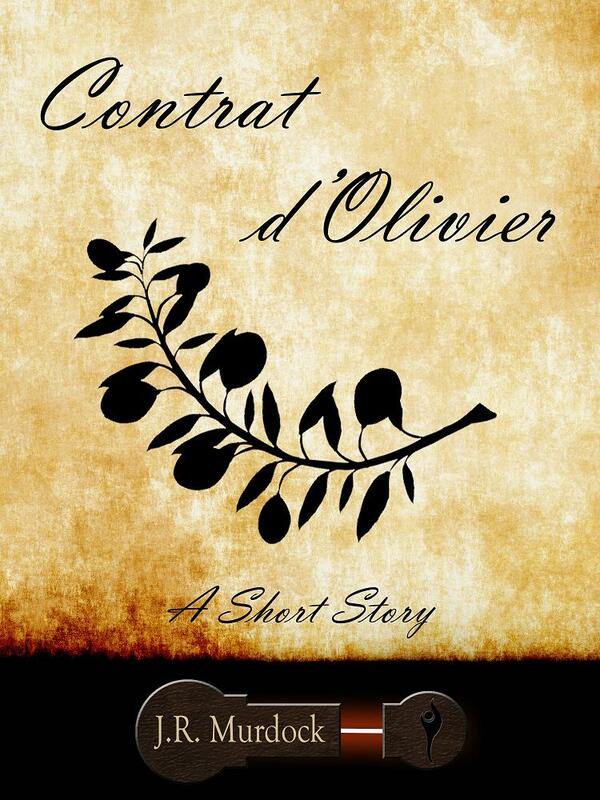 The story, Contrat d’Olivier, is one that I’m very happy with. I wrote it a couple of years ago and it’s gone through a couple of iterations. Everyone that I’ve sent it to in an attempt to get it published, has held on to it for a long time. By a long time, I mean one had it for over a year before finally rejecting it. Another had it once for nine months before rejecting it and recommending a revision, which I did. Then they held on to it for another nine months before I just never heard from them again. So I’m not sure what happened. Finally I submitted the story to Writers of the Future and was quickly rejected. Hey, can’t win ’em all. Regardless, I think this is a strong story and threw a cover on it and dropped it on Amazon. Want a copy? It’s free this week. Once the free period is over, it’ll only be 99 cents. Check it out, let me know what you think. I’ll go work on more stories. Posted on August 26, 2015, in Announcement, Blog Post and tagged contrat d'olivier, free, J. R. Murdock, olive tree, short story. Bookmark the permalink. Leave a comment.